Ernest was born on 9th August 1897 in South Holmwood; he was baptised in the parish church on 19th September 1897. His father was Jesse, a Gardener and his mother was Marian Augusta. In the 1901 census, Ernest’s family are living in Spring Cottages in South Holmwood. Ernest has four brothers, George aged 14, Harry aged 13, Herbert aged 7 and Wilfred aged 1. He also has two sisters, Margery aged 8 and Edith aged 6. When the 1911 census was taken, the family are living at Quernmore cottages in Buckingham Road, Holmwood. Ernest and Wilfred are still at school, George, Margery and Edith have left home. His brother, Herbert is a Gardener. Ernest attended South Holmwood School from 28th August 1901 until 12th April 1911. In 1908 he won a certificate for special knowledge of Scripture and in December 1910 he passed the Labour Certificate Exam. Ernest started work as a House Boy at Redlands Bank in Holmwood; from there he went to work at Dalewood in Mickleham. He then became 3rd Footman to the Archbishop of Canterbury at Lambeth Palace. Eventually, he became 1st Footman to Sir Kenneth Matheson, of Grosvenor Square. He enlisted into the London Scottish Regiment in September 1916 arriving in France the following January. The London Scottish were fighting in the Arras area when Ernest was wounded by a gun shot wound to his arms and face on 9th April 1917, and was taken to the 26 General Hospital in Etaples where he died on 13 April 1917. He is buried in Etaples Military Cemetery. His medals and personal effects were sent to his parents in South Holmwood. 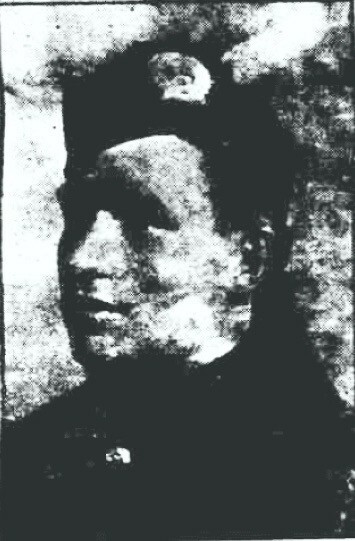 Ernest’s brother Harry joined the Navy and died in 1915. His sister Margery was a voluntary Nurse with the Red Cross at 72nd General Hospital in France. She married James Mackerall in Dorking in 1927. Edith married Lawrence Giles in Dorking in 1917.